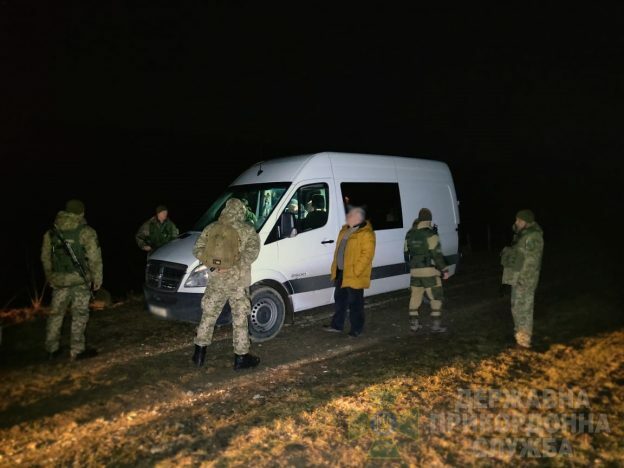 The border guards Mostyska Detachment stopped to check the van “Dodge” in the Lviv region near the state border of Ukraine. The vehicle was driven by the Lviv resident, YOB 1965, who could not confidently explain the purpose of stay in the border area. The border guards asked the driver to provide the car for the inspection in which, as it turned out, except the driver, there were seven more citizens of Mongolia. Four foreigners had identity documents, and three, including a 6-year-old girl, did not. During the preliminary check, the border guards found out that the Mongols at different times previously legally arrived in Ukraine, and the foreigners’ purpose was to travel illegally to Western Europe. Both the driver and the passengers of the minibus were detained, and the investigative-task force of the National Police of Ukraine was called to the place. This entry was posted in Translated Media-News from Ukraine on March 18, 2019 by oksana.